Southwest Metals, based in Glendale, Arizona, specializes in handling industrial accounts of all sizes. We handle scrap metal produced by manufacturers, demolition companies, construction contractors, electrical and plumbing contractors, utility companies, as well as large and small scrap dealers. Our philosophy brings a modern approach to the business of handling scrap metals from all supply sources. Founded in 2001 with a single wire chopping and processing line, Southwest Metals expanded to become one of the largest privately owned metal processing and recycling companies in the Southwestern United States. Our relationships reach scrap metal buyers and sellers around the world. Our mission is to add value for our suppliers by providing industry leading customer service, competitive pricing and a commitment to building long term relationships. Our broad metal processing and handling capabilities allow us to provide a wide range of services to meet your specific needs. 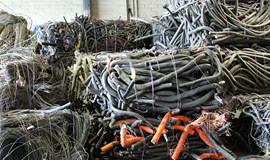 We buy, process, and sell steel, copper, aluminum, brass, insulated wire and cable of all types. We take great pride in the reputation we have built. A reputation based on consistent, exceptional customer service and close personal relationships. 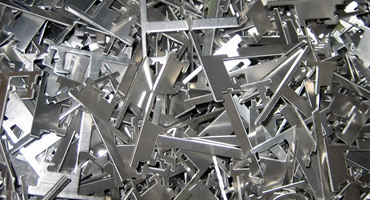 Metal scrap in the form of waste product or reject material from manufacturing processes can be captured and recycled. We provide the material handling equipment and an easy way for industrial companies to convert scrap into cash. Let us be your adviser and scrap management partner in creating and sustaining an effective scrap material handling program. As older technology is replaced with state of the art infrastructure, utility companies must find an environmentally friendly and economical way to convert aging energy transmission lines, water lines and communication networks. We work with some of the largest utility companies to properly manage scrap metal during removal and conversion projects. We work with large and small contractors, performing demolition and clean up projects. 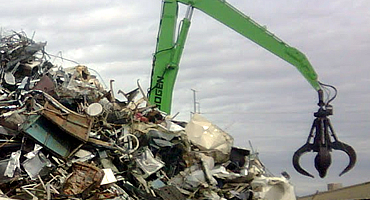 We pay competitive rates for scrap metal collected from demolition sites. We’ll pay for ferrous and non-ferrous metals including copper, stainless steel, aluminum, iron, unprepared steel, prepared steel, rebar, plate and structural steel. Let us show you how to turn a costly project into a profitable one. 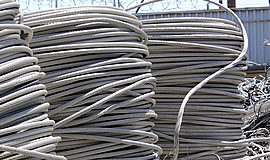 Insulated aluminum wire (steel reinforced) are often recovered in coils by utility companies when replacing or removing overhead transmission lines. 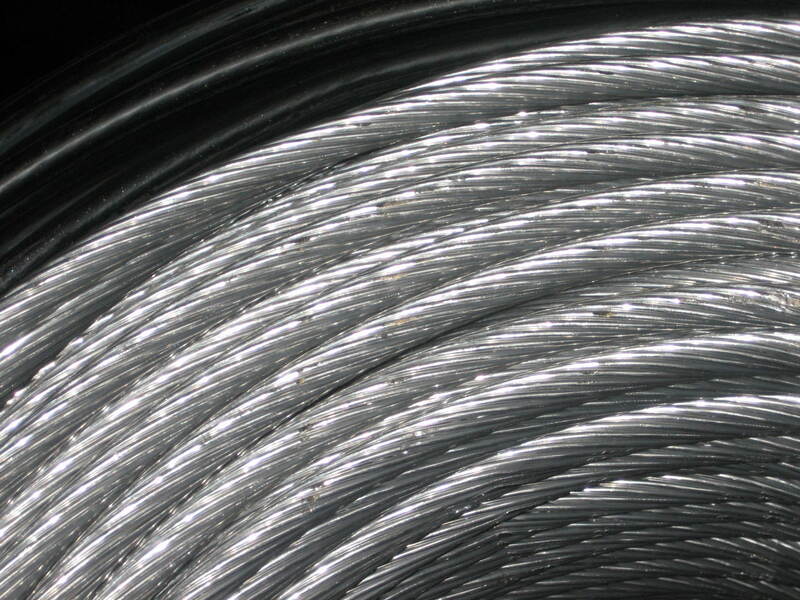 Southwest Metals can process the wire through a shredding, chopping and granulation machine to refine the wire into a pure form of chopped aluminum. The aluminum is then sold in various grades both domestically and internationally through our relationships. URD Cable is another aluminum electrical transmission wire that can be buried underground or installed in a duct. Once removed, the cable insulation is stripped off and the aluminum is separated and granulated by proprietary equipment in our Arizona facility. The pure chopped aluminum is then sold by Southwest Metals to refineries around the world in various grades. Our process and equipment is unique and provides a competitive advantage in the marketplace. 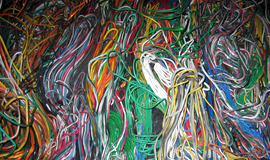 Insulated copper wire is the most common form of electrical wire used around the world in homes, offices and industrial facilities. 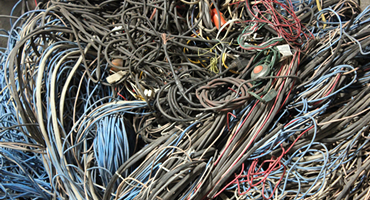 As part of renovation or demolition projects, large quantities of copper wire can be recovered and recycled. Using our wire shredding and chopping machine, plastic sheathing used to insulate the copper wire is removed and discarded, leaving granular copper particles for further refining. 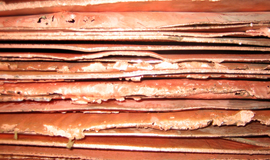 Other non ferrous metals include bare copper wire, copper tubing and aluminum sheet. Using our non ferrous baling machine, various scrap metals can be compressed and stored in a form that is easy to handle and ship. Our brokering and marketing services allow us to process and sell large quantities of non ferrous scrap metal to domestic and overseas consumers through strategic partnerships.